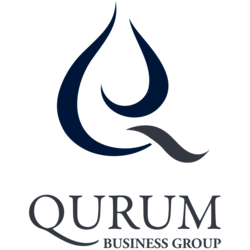 Qurum Business Group has been selected to undertake the construction of a utilities corridor that will link the Duqm Refinery Complex with a major Liquid Jetty under development at the nearby Port of Duqm by the Special Economic Zone Authority at Duqm (SEZAD). Running the length of the corridor spanning the distance from the refinery to the Liquid Jetty, currently under construction on the Northern Breakwater of Duqm Port, will be a series of dedicated pipelines that will carry refined fuels and petroleum products for export. Products that will be handled by these pipelines include LPG, diesel, jet fuel and naphtha. Provision will also be made for the installation of a crude pipeline that will carry crude as feedstock from the jetty to the refinery. QBG’s contract, valued at just under RO 10 million, will also include the detailed design of the Service Corridor. The contract has been awarded just days after Oman Oil Company, the energy investment arm of the Omani government, and Kuwait Petroleum International (KPI), inked a landmark partnership agreement, paving the way for the construction of a world-scale grassroots refinery at Duqm with an investment of around $7 billion.